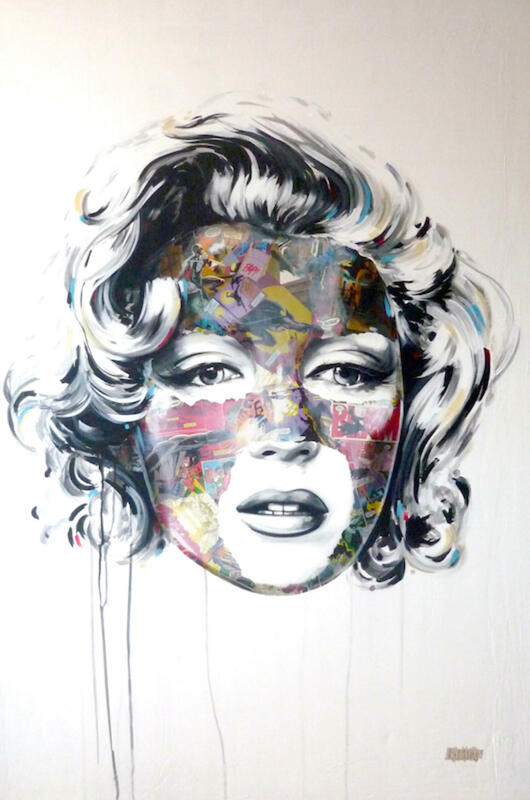 Sandra Chevrier, who calls herself a “gaze collector,” creates hyperrealistic paintings of women that stare out towards the viewer. 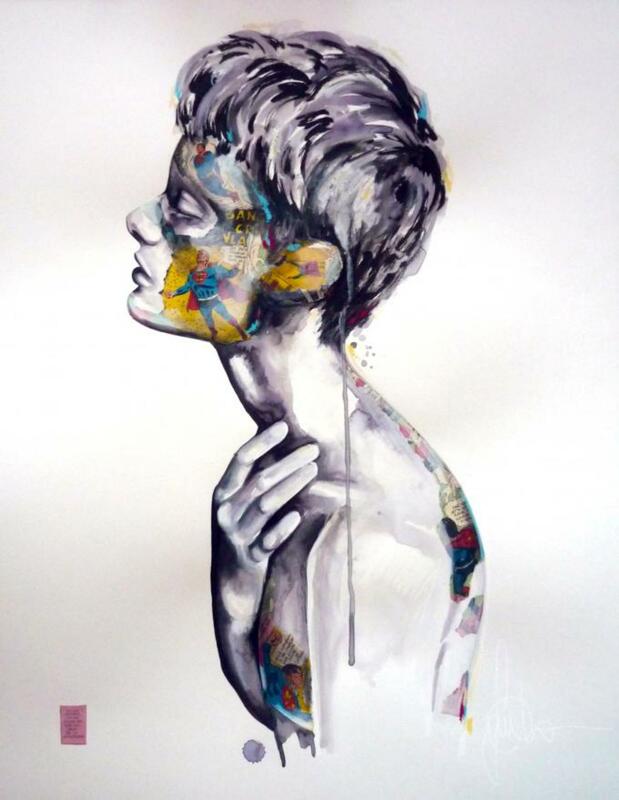 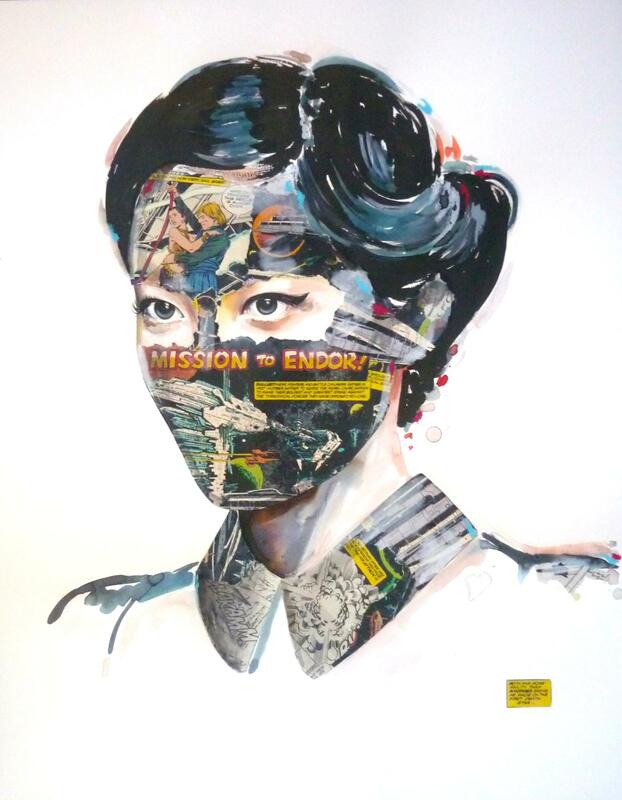 Reinterpreting the superhero mask, Chevrier covers these images with a collage of comic book prints, using scenes from Superman and Batman to conceal the faces of these idealized women. 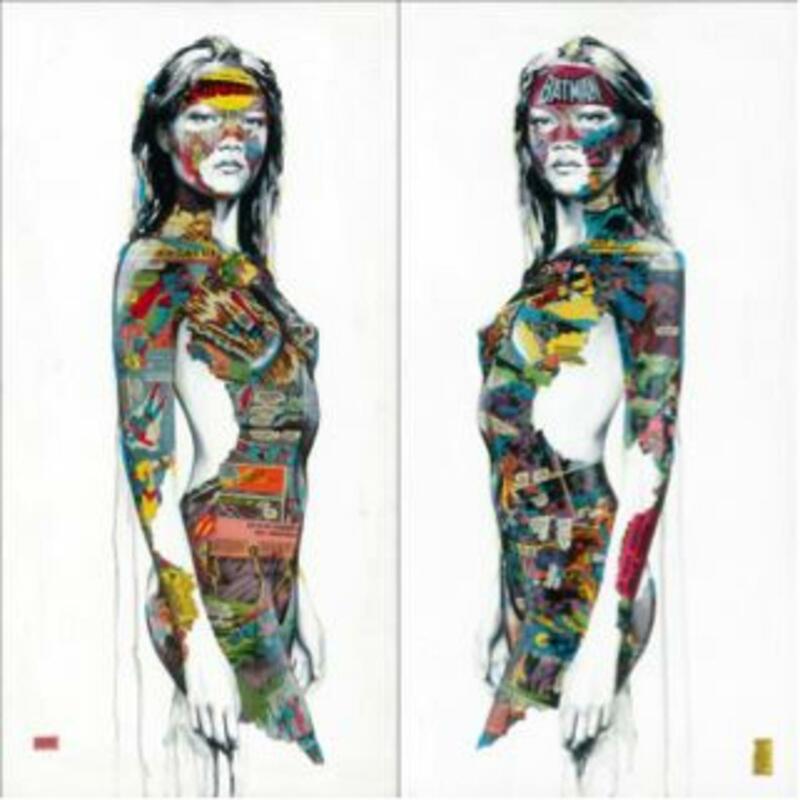 Chevrier selects sections of comic books that portray “fragile heroes,” promoting the idea that vulnerability often underlies heroism. 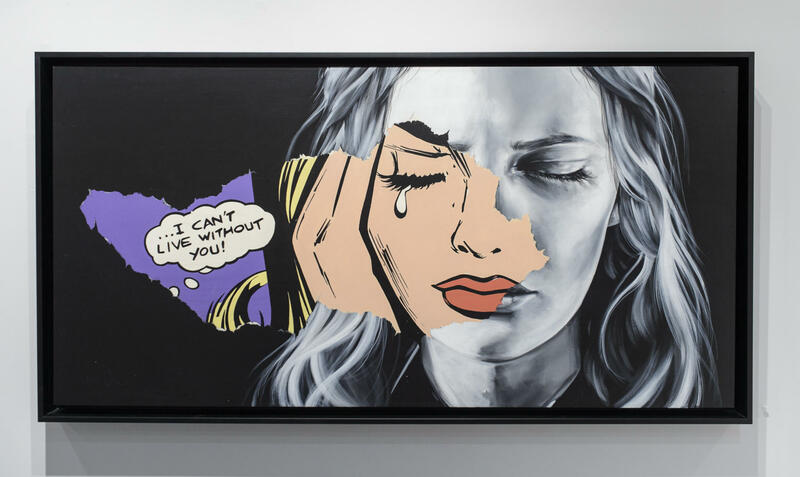 Titled “Cages,” these mixed-media works encourage viewers to consider how the modern woman—like these superheroes—might also be surrounded by expectations of effortless perfection.